About two weeks ago a long-time friend, Gwen Plano, invited me to join her on a Blog Tour. I thought it would be an interesting way for us to tell about our books and encourage others to do the same. Gwen has just published what I would call a spiritual memoir, Letting Go into Perfect Love. I suggest you visit her blog and check out this profoundly moving book. For the Blog Tour I was asked to answer four questions, which for me were ones I often address when people ask me about my books. 1) What Am I Working On? I am currently writing the sequel to a book published last year called Dead Men Do Tell Tales, a teen mystery novel that pits the intuitive and informed dreamwork talents of a teenager, Ashlynn Acosta, against the traditional gumshoe methods of her detective father. This book’s working title is Too Much of a Good Thing, and has our teenage sleuth entering her first romance amid the throes of a complex theft and murder brought on by hoarding. Her single dad is in the throes of a first romance since his wife passed away several years before. Again, father and daughter find they have much in common as they each must trust intuition in their own ways to navigate the shoals of romance and crime. 2) How does my work differ from others of its genre? My mystery stories are different from most in that the protagonist uses tried and true dreamwork and intuitive meditation methods learned from a dream mentor to help solve a crime. As a result the reader gets a thrilling, fast paced mystery with the added benefit of learning about developing inner skills. A Reader’s Guide in the back gives detailed explanations of the how-to’s. A couple of reviewers have called my book something like “a New Age Nancy Drew,” a good teen mystery with the added enticements appealing to the current fascination with dreams and deeper intuitive understanding. 3) How does my writing process work? I usually resist sitting down to write but when I do, the floodgates open and I just let it flow. I often can’t type fast enough as the ideas start gushing. Eventually I reach a block and then take a break. New ideas emerge when resting, meditating or driving. I write because I have a message that I am passionate about: how to access inner wisdom through dreams and meditation. I write all sorts of things for different age groups, based on their various needs for different forms of intuitive insight. Usually, I find it very easy to write because I write about things that energize me such as creative problem solving through dreamwork and the creative process itself. Diane Brandon has been an Integrative Intuitive Counselor, Intuition Expert and Teacher, Corporate Consultant, Author, and Speaker since 1992. She brings other modalities into her work, including Dream Interpretation, Individualized Guided Meditation, Regression, Natural Process Healing, and Customized Exercises and Affirmations. She’s the author of Intuition for Beginners – Easy Ways to Awaken Your Natural Abilities and Invisible Blueprints (one of only two books on intuition that Ananda Village, based upon the precepts of Yogananda recommends), as well as several articles, and a contributing author to The Long Way Around – How 34 Women Found the Lives They Love and Speaking Out. Her next book, Dream Interpretation for Beginners, will be published in Winter 2015. Diane was the host of “Naturally Vibrant Living” on Web Talk Radio and Blog Talk Radio and “Vibrantly Green with Diane Brandon” on Ecology.com. She also has Meditation CDs available, including “A Journey Within Meditation,“ “Natural Process Healing,” and “Brainstorm in the Boardroom with Great Leaders,” as well as exercises for intuitive development. Diane has appeared extensively on radio shows throughout the country, having been interviewed on dreams and intuition. Her two websites are www.dianebrandon.com and www.dianebrandon.net. She may be contacted at diane@dianebrandon.com. Dr. Jean Raffa is an author, speaker, and leader of workshops, dream groups, and study groups. Her job history includes teacher, television producer, college professor, and instructor at the Disney Institute in Orlando and The Jung Center in Winter Park, FL. She is the author of four books, a workbook, a chapter in a college text, numerous articles in professional journals, and a series of meditations and short stories for Augsburg Fortress Publisher. 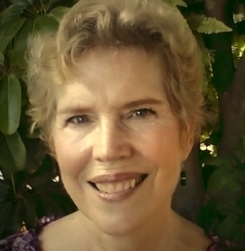 Her newest book, Healing the Sacred Divide: Making Peace with Ourselves, Each Other, and the World was launched by Larson Publications, Inc. at the New York Book Fair in June of 2012. In 2013 it won the Wilbur Award, which is given by the Religion Communicators Council for excellence in communicating religious faith and values in the public arena and for encouraging understanding among faith groups on a national level. Jean is also the author of The Bridge to Wholeness: A Feminine Alternative to the Hero Myth, and Dream Theatres of the Soul: Empowering the Feminine Through Jungian Dream Work. Dr. Raffa’s websites are http://jeanraffa.wordpress.com/ and www.jeanraffa.com. According to Hindu tradition, the energy field of the human body is made up of seven major energy centers called chakras. There are more chakras, but for the purpose at hand these are the main ones that seem in my experience to get reflected in dreams. Each of these energy centers generates its own kind of energy to deal with certain life issues. If there is a wounding correlating to one of these issues it affects the quality of the energy in the chakra and can cause disease to a part of the body related to the chakra. 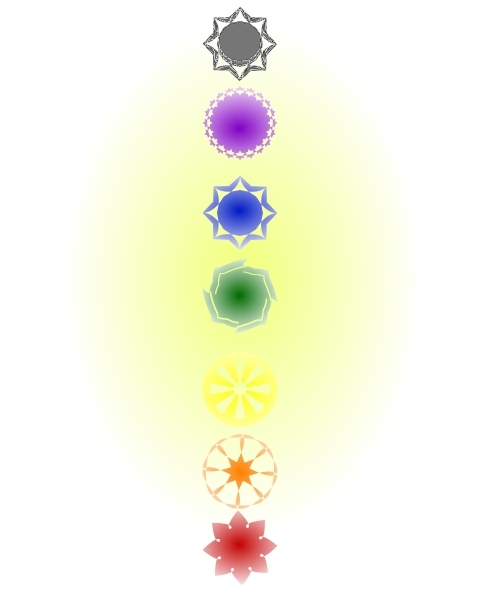 Thus, any disease or emotional imbalance is viewed as relating to one or more of these chakra areas. As with any other kind of issue, once you are aware that a chakra and its energies are presenting themselves in a dream, you can work with that chakra and any relevant issues through dreamwork. You just need to know what to look for in terms of symbolism and metaphor. A good book on chakras can help provide you with the usual colors for the chakras as well as corresponding issues. A good book on dreams may provide the commonly held symbols for the chakras in dreams. On-going dreamwork will reveal the colors of your chakras that are unique to you and your private dream vocabulary. Your colors may appear in different color tones, often depending on the type of energy manifesting from the chakra. In my dreams chakras usually present themselves as big round buttons on a tunic I am wearing. They sometimes need to be polished; a hint that I have some spiritual work to do. Also, I have found that a predominant color in dreams (other than black) on a major symbol such as the walls of a room is a good indicator that a chakra issue is present. For example, in the following dream the bright red of the walls was so odd and overpowering it immediately drew my attention to it. Since the wall indicated a space of that color I took it be the “space” of my 1st chakra. Example (Dream): I am entering a bathroom that is oddly decorated with big, bright red tiles on the walls. The tiles are hard to miss. I start to pee in the toilet. Peeing in the toilet naturally made me associate with the words “pissed off,” suggesting that perhaps I had a 1st chakra issue needing release. Reflecting on this possibility raised several concerns related to 1st the chakra such as finances and my place in the world that perhaps I needed to work on. 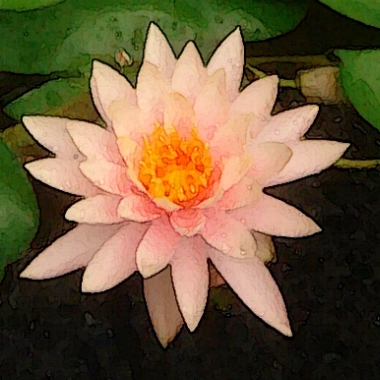 This is the story of a long-time friend, told with amazing intuitive insight. It is beautifully written both because of the author’s excellent academic background in counseling and her lived experience of the journey. According to energy healing practices, healing is said to originate in the “heart” as opposed to the head. This is the heart chakra located in the chest, the energy node responsible for sending and receiving loving energy. According to Hindu tradition, it is also the meeting place for the transcendent energies coming from the higher chakras of the throat and head which mix with the lower energies coming from the base of the spine, pelvic area and solar plexus. Some consider it the place “where heaven and earth meet” as in the expression in the Lord’s Prayer, “on earth as it is in heaven.” Only when human beings connect with each other from this open, expanding and loving region of the heart center which holds all these energies together can a divine, healing and “making whole” experience, like heaven, be recreated in the human realm. An appearance of my own inner healer, portrayed in one of my revelatory dreams as a towering, well-built gray-haired male physician practicing in New York, told me that when he heals he heals from a space just above and to the left of the physical heart. While I did not understand at the time why I was given this dream, I understood it was conveying important information to me. I made sure to write it down. Not long after, when I was studying intuition under Dr. Henry Reed of the Edgar Cayce Institute for Intuitive Studies, I learned that the “heart space” is the receptor and sender of intuitive information which can help heal. I realized my dream had confirmed for me that the heart chakra, the locus for loving energy, was also the location for sending and receiving healing energy either to me or to others. After prayerfully requesting or intending a healing for myself or someone else, I use a simple meditation that will get me into the relaxed, open and trusting heart space like that of the intuitive small child. While I feel the expansion of the positive energy which occurs in this state, I imagine healing energy coming from an infinite source above my head, and allow it to enter through the top of my head. I visualize it flowing down to the heart and then mixing with the expanding energy of the heart chakra where it can ride on the wave of expanding energy. Then I release it, by either imagining it going where it needs to go or letting it go where greater wisdom determines. At this point, I may expect a response, knowing that it will come in any number of ways. The answer may come in the way of an event totally outside the body such as a serendipitous phone call or an accidental meeting. When the response comes through intuition it can come through sensations in the body, memories, thoughts, insights, an inner voice, or a dream.